Based in Albion - Keeler Construction Co., Inc. has been in operation since 1942. Henry Keeler established the business in the early 1940’s by acquiring some power shovels, and a dump truck with a trailer. The equipment purchased was utilized to substantially improve the land for farmers through the means of removing hedge rows and installing drainage. Since its beginning, Keeler Construction has experienced steady growth; in 1948, paving equipment was purchased and Keeler began to pave driveways and parking lots. The paving activities and land improvements for farmers would continue into the 1950’s; around that time many villages in the area started to undertake street improvement programs. With the appropriate equipment available, Keeler opted in to contracts with municipalities such as the Village of Albion, the Village of Oakfield, and the City of Batavia. In the late 1950’s, the State of New York, with the help of the Federal Government, undertook a massive highway and bridge improvement program. At the same time, the demand for traditional farm work began to decline as Keeler Construction paved its way in to projects that involved more public works construction. These types of projects consisted of highways, bridges, airports, parks, railroad work, and heavy utilities. Around 1987, it became apparent that quality construction aggregates, crushed stone and gravel, were needed in our area. At that time, Barre Stone Products was established. In 1995, a hot mix asphalt plant was installed on site at Barre Stone. Barre Stone produces quality crushed limestone and hot mix asphalt to meet the needs of customers and Keeler Construction. 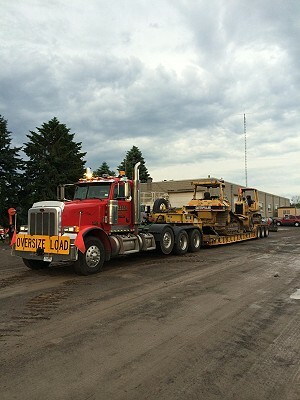 Headquartered in Albion, New York, Keeler Construction is considered a general contractor in the heavy highway construction industry. With projects ranging all across Western New York, the company has been blessed with a number of loyal and dedicated employees over the years; we have experienced limited turnover and have had exceptional long term employment. Our relationships with subcontractors and suppliers have also remained very stable over the years. Most projects we undertake are awarded by public bid; however some of our work is for private entities. A safe work environment is our number one goal at Keeler Construction. Along with safety, we are committed to improving our expertise and professionalism until clients’ expectations are exceeded. Treating employees, clients, suppliers, and subcontractors with the upmost respect has gotten the company to where it is today and it remains a prominent goal for the future. As a company, we look forward to upcoming challenges and innovations that the heavy highway industry offers. Copyright 2019 by Keeler Construction Co. Inc.